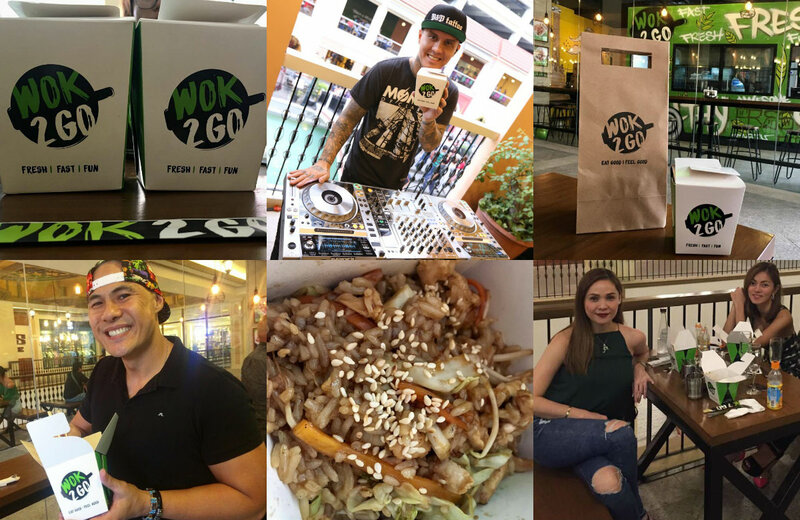 Restaurateur Kim Garcia, Marc Soong, and Angie Mead King started the Chinese New Year by opening their brainchild, WOK 2 GO, a restaurant with a rice in a box concept, in Venice Grand Canal Mall at McKinley Hill, Taguig City. 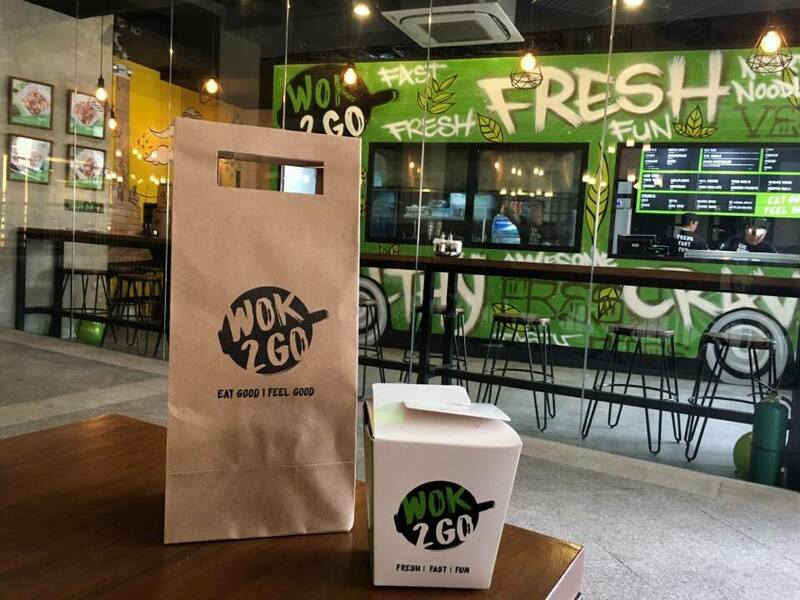 Eat fresh and fast and have a great vibe with WOK 2 GO. 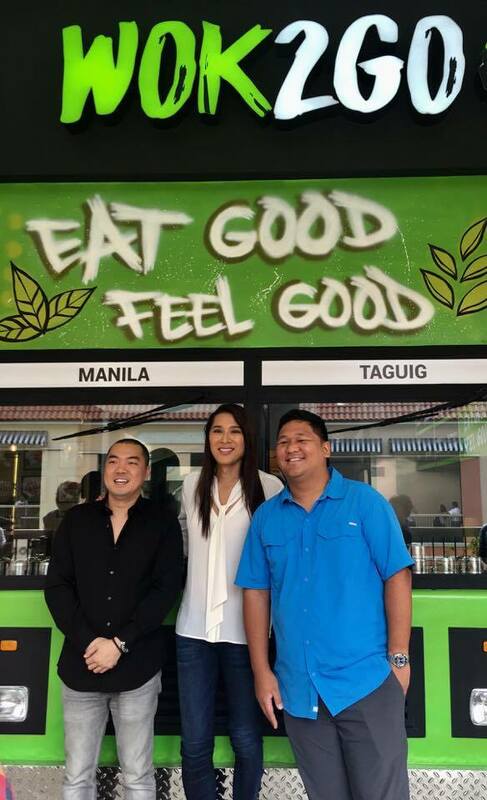 For two years, Garcia, Soong, and King meticulously conceptualize and plan their brainchild, WOK 2 GO, so that they can provide Filipinos healthy on the go dishes. They make sure that each cuisine that they serve contains all the vitamin, mineral and nutrients that Filipinos need in order to stay active, healthy and mentally sharp. 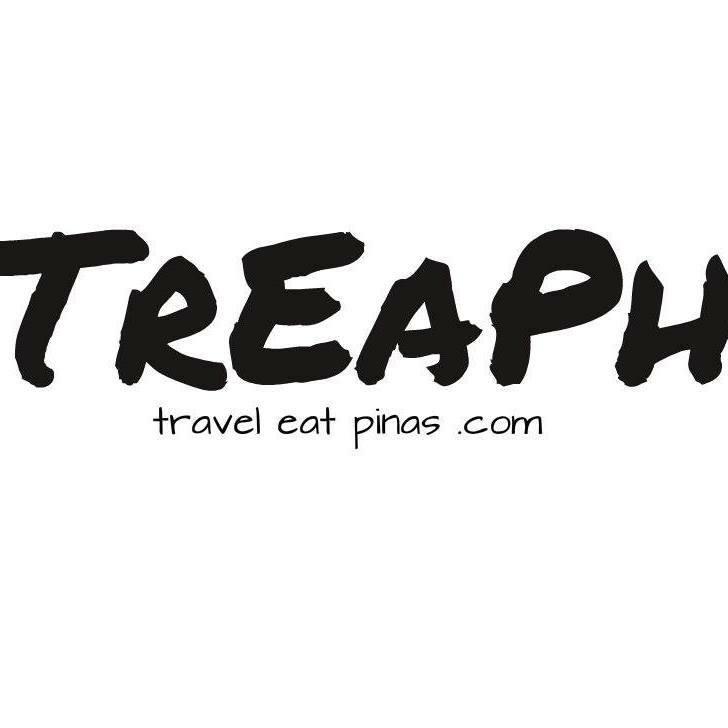 Aside from that, they also make it to a point that even if the dishes are easily prepared, the dishes will still incorporate their authentic flavors. Restaurateur Kim Garcia, Marc Soong, and Angie Mead King. As a car enthusiast Garcia, Soong, and King designed WOK 2 GO as a food truck situated in Rizal Park. A countertop placed at the side of the truck serves as a table with stools where their visitors can sit, dine or wait for their food. Food enthusiasts, on the other hand, can see the Chefs in action on the window of the food truck. 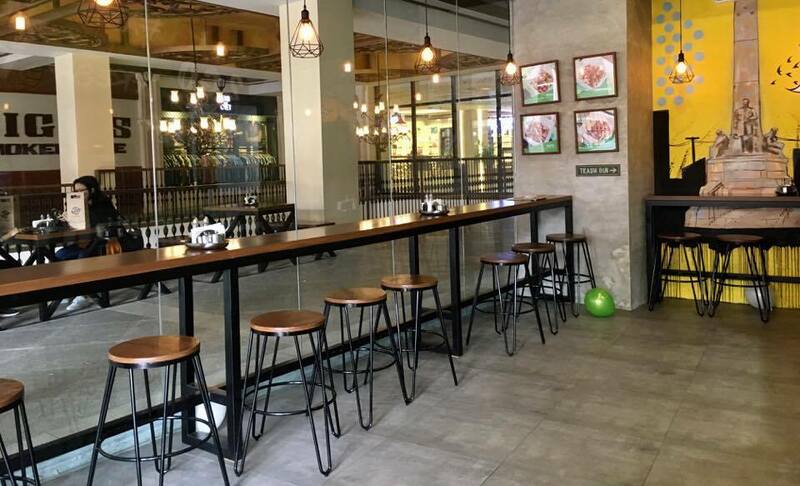 The ambiance of WOK 2 GO is simple, cozy and refreshing. 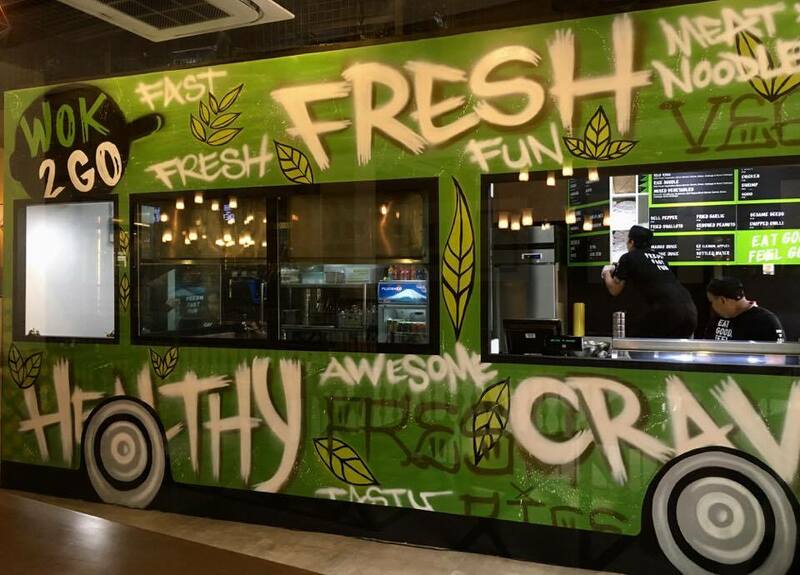 The green and the yellow colors and graffiti on the truck showers a refreshing vibe in the restaurant. Food Truck inspired design of WOK 2 GO. Fun and creative food truck inspired design of WOK 2 GO. 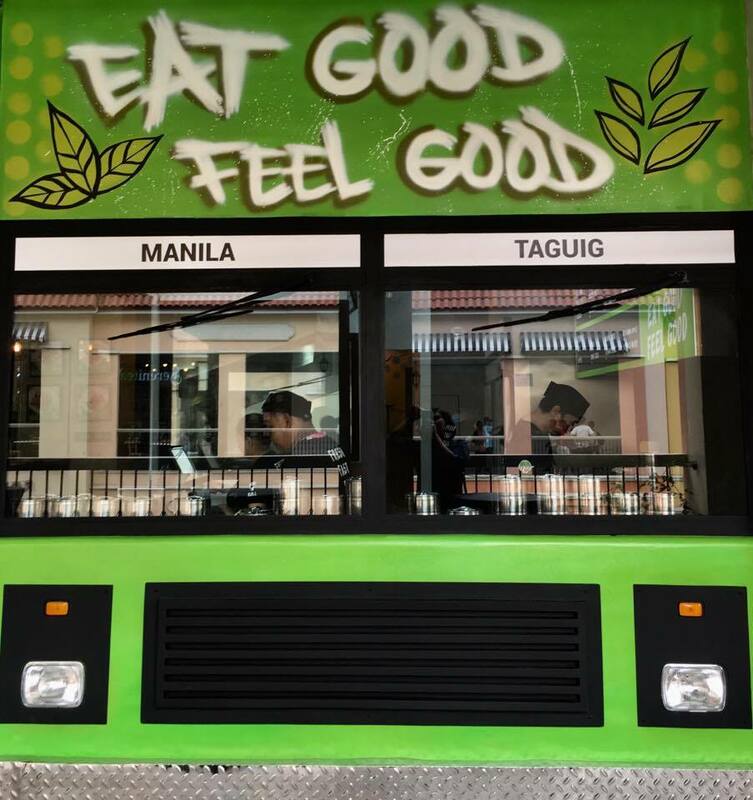 "Eat on a food truck in Rizal Park" theme of WOK 2 GO. 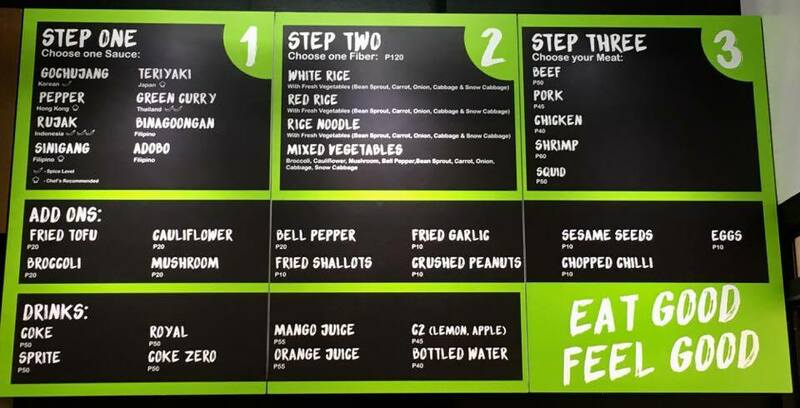 WOK 2 GO provides their visitor the liberty to choose their preferred dishes by following three easy steps. Make your own dish depending on your cravings. STEP 1: CHOOSE ONE SAUCE. WOK 2 GO serves both local and international sauces. Local sauces include the top three Filipino dishes, Sinigang, Adobo, and Binagoongan. While the international sauces include Hong Kong Pepper, Korean Gochujang, Thailand Green Curry, Indonesian Rujak and Japanese Teriyaki Sauce. 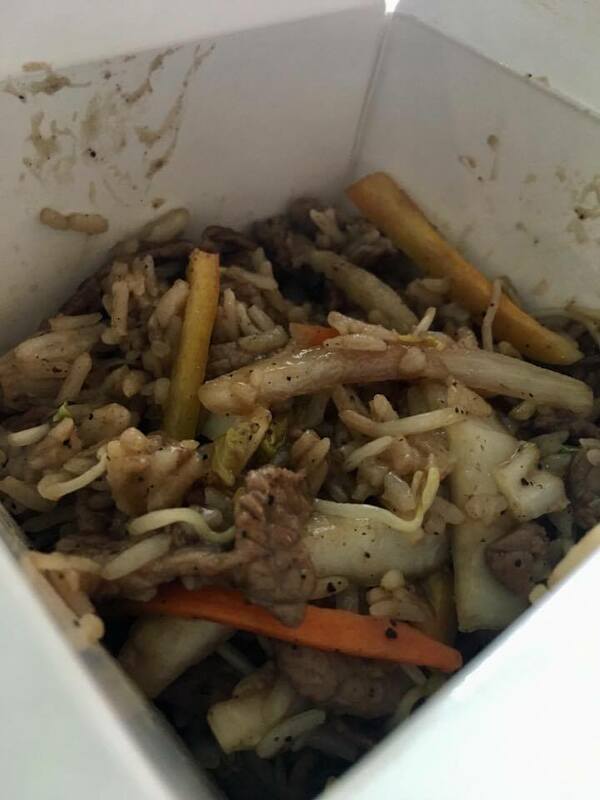 WOK 2 GO provides fiber such as rice, noodles, and mixed vegetables. 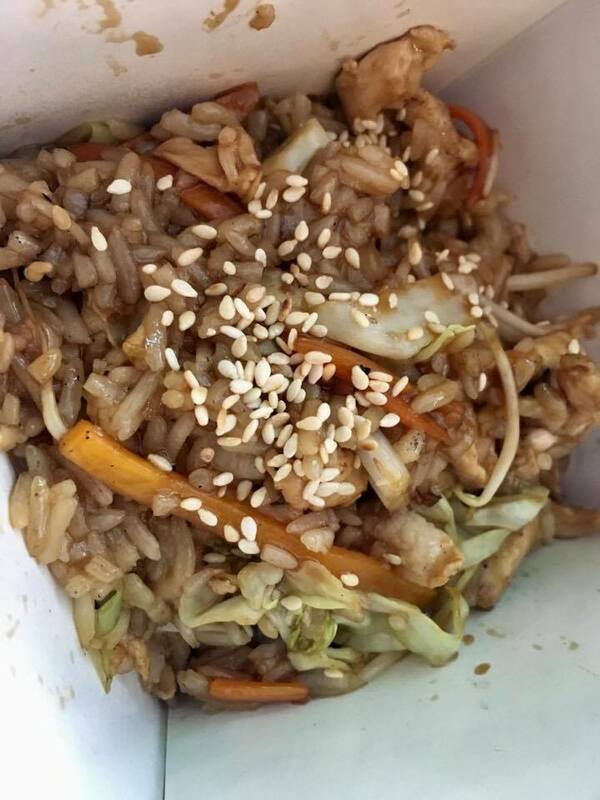 Rice and noodles are mixed with fresh vegetables such as bean sprout, carrots, onion, cabbage, and snow cabbage while the mixed vegetables are composed of broccoli, cauliflower, mushroom, bell pepper, bean sprout, carrot, onion, cabbage, and snow cabbage. Choose, add and even mix and match WOK 2 GO's beef, pork, chicken, shrimp, and squid. To add flavor to your meal you can add fried tofu, broccoli, cauliflower, mushroom, bell pepper, fried shallots and garlic, crushed peanut, sesame seeds, chopped chili, and egg. We at Travel Eat Pinas didn't miss the chance to mix, match and made our WOK 2 GO dish during their opening and here's our two favorite. The sauce is sweet and a bit spicy. The beef is tender and seasoned well while the bell pepper and other vegetables are crunchy. The sauce, beef and vegetable are perfectly mixed up to the bottom of the container. The dish tastes meaty with a tinge of spice. The sauce is sweet and savory. The vegetables mixed with the rice are al dente while the chicken is tender and juicy. The sauce, chicken and vegetables are mixed thoroughly that you can savor everything up to your last spoonful. 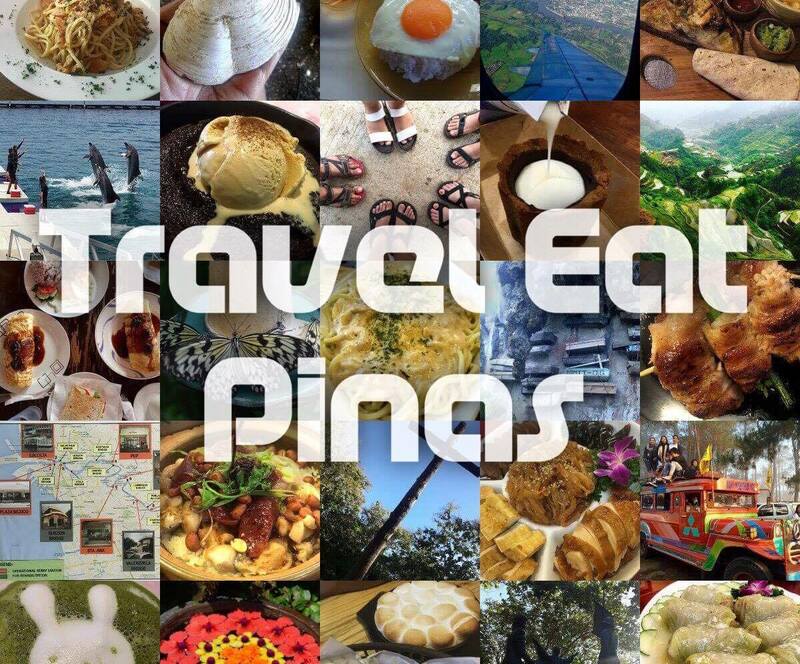 WOK 2 GO for Travel Eat Pinas is the answer to getting the nutrition that our body deserves in the fast paced environment that we have. Each meal is complete with meat, fiber and other vegetables that our body needs. Dishes made in WOK 2 GO can be served in a minute or two, with the flavors that you want and can be eaten any time and anywhere you desire. The cost of each dish is also reasonable considering the generous servings, flavor, and ingredients that it has.